Eminent domain is the government’s power to take private property for a public use. Who Has The Power To Take My Property? Federal, state and local governments all have the power of eminent domain. The Virginia Department of Transportation (VDOT), school boards, and public utilities also have the power of eminent domain. Can My Property Be Taken For Any Reason? No. Your property can only be taken for a public use. Under Virginia law, a public use includes roads, schools, hospitals, airports, jails, libraries, utility lines, and government office space. Property can also be taken to cure blight. Blighted property is property that is so run down that it poses a threat to public health or safety. These are not all of the permitted public uses, but should give you a sense of what is meant by “public use.” Your attorney can help you determine whether your property is being taken for a public use. What Rights Do I Have If The Taking Is Not For A Public Use? Under Virginia law, you have an absolute right to challenge the taking if it is not for a public use. A claim that the taking is not for a public use must occur very early in the condemnation process, otherwise that right is waived (i.e. lost forever). You should consult an attorney as soon as possible if you believe that the taking of your property is not for a public use. How Will I Know That The Government Wants To Take My Property? By law, the condemnor must notify you in writing that your property is needed for a public use. This letter typically comes not from the condemnor itself, but from its right-of-way agent, a person or company hired by the condemnor to handle the communications with the landowner. A subsequent letter from the right-of-way agent will identify the amount of property needed and will include a written offer to purchase your property. If the offer is for more than $25,000, a copy of the appraisal showing how the offer amount was determined must be included with the offer. 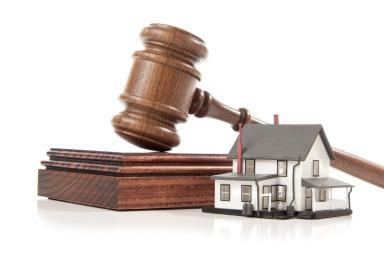 If more than one appraisal was done on the property, the law requires the condemnor to give you a copy of all appraisals. No. You do not have to accept the condemnor’s offer. In most cases, your property is worth more than that initial offer. An attorney can guide you through the condemnation process and help you get all the money to which you are legally entitled. How Much Money Will I Get For My Property? Under both the United States constitution and the Virginia constitution, you are entitled to “just compensation” if some or all of your property is taken. “Just compensation” is the fair market value of the property on the date of the taking, plus any damage to the part of the property that is not taken. Just compensation can also include money for loss of access and lost profits. Just compensation can be determined by a jury, a panel of commissioners or the court. The jurors and commissioners must all be landowners in the jurisdiction where the property being taken is located. Whether to have your case determined by a jury, commissioners or the court is an important strategic decision that should be made in consultation with an attorney. Is The Money I Receive Taxable? Perhaps. Money that you receive as a condemnation award is not treated the same as income or money that you would receive through a normal sale of your property. There are certain steps you can take to defer taxes on this money. Your attorney can advise you or refer you to a tax attorney or accountant who can assist you. These are only a few of the many issues that arise when property is taken by eminent domain. The information provided here is not intended as legal advice and does not create an attorney-client relationship. For more information, contact Jason Hickman at Compton & Duling at (703) 565-5137.